Nothing new to report. I have thought more about fictional men than any real ones. Yesterday it wasn’t even a fictional man, it was a fictional boy. Mission ‘Crazy Cat Lady’ is almost complete! 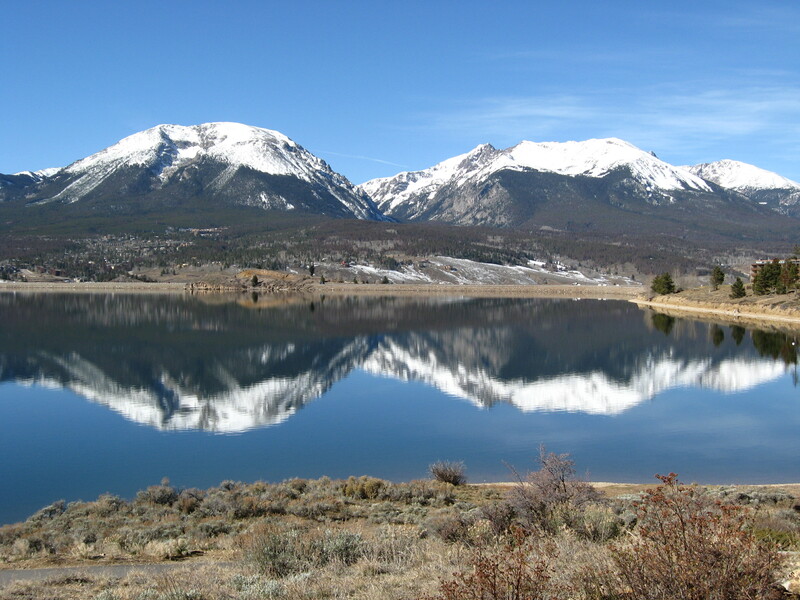 This is a picture I took in Dillon, Colorado when I was there a few weeks ago for a conference. I have never seen a bluer sky, and the snow-capped rockies make the mountains in my state look like amateurs. If I knew how I would photo-shop some signal fires on the peaks. That would have made the trip a roaring (snicker) success.